From huge rock shows, to pop parties and bands by the sea – when it comes to festivals, you’re spoilt for choice in Europe! Get some great festival deals with ISIC: 5% off ticket + accommodation packs! Here’s our full roundup of the best music festivals this summer. If you’re a fan of Reading & Leeds festival, then this four-day party is the one for you! Regularly selling out, it boasts a fantastic selection of popular international artists, national crowd-pleasers and local Belgian acts, all rounded off by a spectacular firework show at the end. As the beer is not too bad either, Rock Werchter is likely to be a firm festival favorite for this summer! Almost 35 years on from its first appearance as a small, one-day festival, Pukkelpop has grown into one of Europe’s most respected music shows. With a program offering a range of styles such as rock, electronic, dance, pop, punk and heavy metal, Pukkelpop prides itself on veering away from the mainstream, offering line-ups of trendsetters as opposed to chart toppers. Fun fact: “pukkel” is a Dutch word for “pimple”. if pulsing beats, an electric atmosphere and shining lights are what gets you up and dancing all night, then the Hideout Festival is an absolute must-go! Held at the beginning of July on Zrce Beach, world-renowned performers will bring you shows of a lifetime. Kick off your summer with some legendary, sun-kissed boat parties around the gorgeous island of Pag and save on your trip with ISIC! Hosted on Zrce Beach, on the beautiful island of Pag, Sonus is a 5-day techno marathon combining the underground heroes of electronic music with stunning views. Considered a must-attend event worldwide, it boasts over 60 artists playing in three open-air clubs. As the performances don’t pick up again until late evening, make sure to enjoy the multitude of pre- and after parties, but also dip your toes into the crystal-clear Adriatic Sea. Since its debut in 2002, Colours of Ostrava has developed an enviable reputation for hugely impressive line-ups that regularly feature some of the world’s biggest music stars. Held on the site of the city’s former mines, smelters and ironworks, the festival offers an unrivaled selection of indie, pop and rock shows, complemented by a program full of films, discussions, workshops and theatre performances. An old, unused airport east of Prague annually becomes home to a stand-out highlight of Europe’s summer music calendar. Thousands of festivalgoers rock out to Rock for People for the three-day music extravaganza – and the line-up news is already trickling in with the announcement of Franz Ferdinand and IDLES! 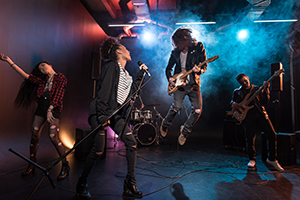 Celebrating everything from heavy metal to punk, RFP also organizes workshops, debates and all kinds of activities, making it a great place for fans of all music styles and ages. Every year over 100,000 revelers are expected to flock to the Danish capital for a three-day party-extravaganza! Since 1998, Distortion has been pushing the limits of street life, with music stages literally set in every alley of Copenhagen’s coolest hoods. Diverse styles and atmospheres perfectly blend in what has been described as “orchestrated chaos”. Usually billed as the French answer to Glastonbury, major international bands play every summer in the stunning backdrop of Domaine National de Saint-Cloud, alongside some of the freshest talents of tomorrow. Just a stone’s throw away from Paris, this three-dayer is likely to earn its place on the calendar of many music fans across Europe. Melt is many people’s favorite festival for a number of reasons: the unique setting of Ferropolis (“The City of Iron”), a former coal mine surrounded by Lake Gremmin, its genre-varied bookings creating an equally diverse crowd and energy, and stages known as the “Sleepless Floor”, running non-stop until the very end. Expect to lose track of time! After years of partying in the US and in South America, in 2015 Lollapalooza’s swirling lollypop of music finally claimed a new ground in one of the greatest cities in Europe: Berlin. Despite the change of location, this German hosted giant festival will stay true to its eclectic philosophy, boasting a hard-to-match program including GRAMMY-nominated EDM group Swedish House Mafia and GRAMMY-winning rock bands Kings of Leon and Twenty One Pilots – to name but a few! What began as a small festival in 1993 has grown to Europe’s answer to Burning Man, elevating the musical experience with a unique and unparalleled cultural space. With hundreds of artistic performances on offer, Sziget Festival is much more than only music: dance stages, contemporary circus shows, a cinema, sporting events, and even a beach where you can take a refreshing dip in the Danube are some of its unique features. Rather than in an inner-city warehouse or sports stadium, the festival that is quickly becoming the reference point for the Italian EDM music scene, is held amidst the mountains overlooking Lake Como. With Armin van Buuren, Afrojack and Axwell Λ Ingrosso gracing its stages in the past editions, its line-up is consistently packed with the biggest names from mainstream dance music. Jam-packed with literally every DJ that matters – fans of techno, house and good times will love Awakenings. Over 100 acts will descend in the scenic forest setting of Spaarnwoude, just outside Amsterdam, to play the best in electronic music over two days. 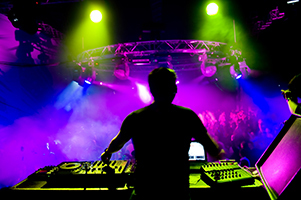 Soak up that party atmosphere and save with ISIC! Dozens of restaurants from all corners of the earth, a barber’s shop, sport facilities, a wellness village, a local radio station, a daily newspaper (Dutch only) and, last but not least: 250 acts offering only the best in alternative music, film, theatre, comedy, visual arts, literature and science. This is Lowlands! Renowned for its creativity and musical diversity, covering pretty much all flavors within the spectrum of electronic music – from its very core to the outer fringes – Mysteryland is certainly one of the highlights of Amsterdam’s festival agenda. Every year it transforms a patch of land nearby the capital into a magical place with themed stages, open fields, food courts and chill out spaces. Under the sun of Lisbon, NOS Alive delivers some great indie, rock and alternative music performances, complemented by a wide variety of great food and spaces dedicated to urban art, using recycled materials. Artfully become one of Europe’s more appealing festivals, NOS Alive will guarantee some goosebumps with a big-name stuffed line-up ranging from The Cure and Bon Iver to Vampire Weekend and other local faves! 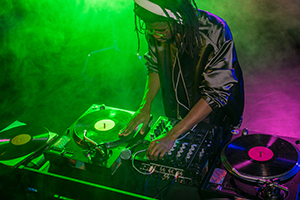 If the fantastic program isn’t enough for you, the festival is just a short distance from Lisbon’s buzzing nightlife. For its 25th anniversary Super Bock Super Rock is trading the capital’s city center for the seaside location of Meco Beach. With headliners Lana Del Rey and The 1975 topping a quality bill that includes Charlotte Gainsbourg and Metronomy, amid this backdrop, revellers can definitely enjoy shows of a lifetime! Soak up views across the ocean before heading to some of the summer’s top musical stages – and save with ISIC! This 5-day sun-fueled event on the Alentejo coast is all about celebrating the best in music. 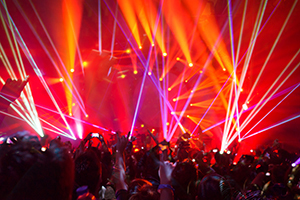 In addition to the numerous legends that have graced its stages over the last years – Jamiroquai, Calvin Harris and David Guetta to name but a few – the festival’s programming also extends into pop, hip-hop, RnB, disco, house and more, with the likes of Anitta, Jimmy Trumpet and Steve Aoki. Wait no longer! Combine beach relaxation with some energy-packed sets! Weezer, The Strokes, Idles and Thom Yorke are just a few of the names that will touch down in Spain, joining a bill bustling with international and local talent. The festival will return to Kobetamendi Mountain, in the enchanting Basque woodland, offering up a picturesque backdrop to accompany the musical program. With a reputation for friendlier crowds and longer sets, BBK Live is a sure-fire way to get your summer off to a colourful start! 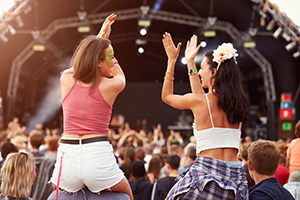 Taking place on the coast between Valencia and Barcelona, FIB is a 4-day multi-genre festival that has become an annual pilgrimage for thousands of music fans around the world. With the show not starting until the evening, the days are freed up to relax on the beach or explore the surroundings. 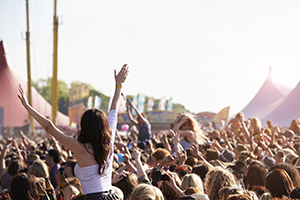 Soak up some Spanish sun and get your fix of the best live music acts with ISIC! The Chemical Brothers, Iggy Pop, Bon Iver, Smashing Pumpkins just to name a few: attracting huge names covering up pretty much everything from rock to indie, Mad Cool has quickly earned its place on the calendar of many music fans across the world. With a top-quality line-up, complemented by incredible food and a buzzing atmosphere, the festival is certainly a firm favorite for this summer! Starting life in 2011, Primavera Sound certainly doesn’t rest on its laurels. Constantly on the look-out for innovation and new inspiration, the event also hosts visual art exhibitions, record fairs and gastronomical delights. Its seaside location makes it the ideal spot to celebrate the arrival of summer with a wonderful blend of sunbathing and music. Wait no longer, party away those early summer nights with ISIC! Every summer thousands of people descend on the coast town of Benicássim, practically pouring onto one of the world’s best spots for reggae music. Launched 25 years ago and named after the Jamaican Reggae Sunsplash, Rototom Benicássim boasts an impressive program with retro- and current ska, dub, contemporary dancehall, afro-beat and many other performers. The modern-day Isle of Wight festival is a far cry from the hippy love-in of 1968. Still, it pulls in top names from around the world and is definitely set to kick off the UK festival scene in great style. Launched in 2002 from a box of records and a pack of heart-shaped post-its, Lovebox has grown into one of London’s most prominent music festivals, and always has a promising line-up with many hard to beat acts performing. Despite starting out as predominantly a dance event, Lovebox has since expanded to include a variety of musical genres – from hip hop to indie, rock, grime and pop. Plus, a good amount of great food and drinks! What is the ISIC card? The International Student Identity Card (ISIC) is the only internationally accepted, UNESCO endorsed proof of bona fide student status. An ISIC card is your passport to fantastic benefits and services the world over. If you're a full time student aged 12 years+ then you're eligible for an ISIC card. Why get an ISIC card? Get your ISIC! Visit or contact one of the thousands of ISIC issuing points worldwide.